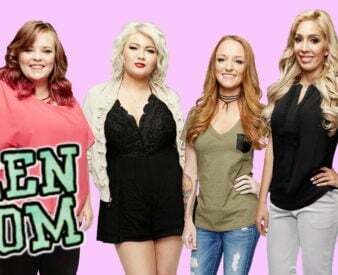 Simon Saran may have put his foot in his mouth too deep this time; he’s made a serious allegation against a member of the Teen Mom OG production crew that may lead them all into the courtroom. Simon is certainly known for speaking his mind, no matter what the consequences are, and it’s made for very interesting television. He may have crossed a huge line this time though. Simon Saran has taken on an interesting role in the Teen Momverse; he’s definitely an instigator and drama-starter. He loves to tell it how it is to millions of people and stretch the truth about his castmates alongside insulting them. Even when he’s spilling the truth, he does so with a good dose of rudeness. The spotlight has been on Teen Mom OG‘s Maci and Ryan lately. Maci Bookout has been having issues with her ex Ryan Edwards. It turns out that he’s been doing some kind of drug and getting close to the brink of death by taking way too many. Maci became distraught about the situation while she was away with the other moms on a tropical vacation. Luckily, Ryan made the crucial decision to go to rehab a few weeks ago, just after he got married to his fiancée Mackenzie. Maci’s family seems to be doing much better now.